I love my job as curator of Gallery 6 and shamelessly confess that every show is my “favorite” show. But I felt compelled to write about the MOSAIC exhibit because this show touched a very special chord which, I believe, will have repercussions in my life and hopefully in the lives of some of the unbelievable people I have met. It is well known that children in our world, now more than ever, are living in a diverse society, even in places where there was once a fairly homogeneous population. We truly live in a cultural mosaic right here in New Hampshire. This fact was driven home to me as I reached out to members of our multicultural community to participate in an exhibit called MOSAIC: Exploring our Multicultural Neighborhood. The diversity I found has been astonishing and the outpouring of generosity, warmth and enthusiasm of people has been incredible! I feel I have made wonderful new connections … and, most importantly, friends! Families from The Azores, Belarus, China, Germany, Greece, India, Indonesia, Iran, Lebanon, Mexico, Morocco and Rwanda have shared photographs, stories, traditions, art, music and customs that interest children everywhere. The list of nationalities here in New Hampshire could go on … it was hard to limit it to the wall space that we have. 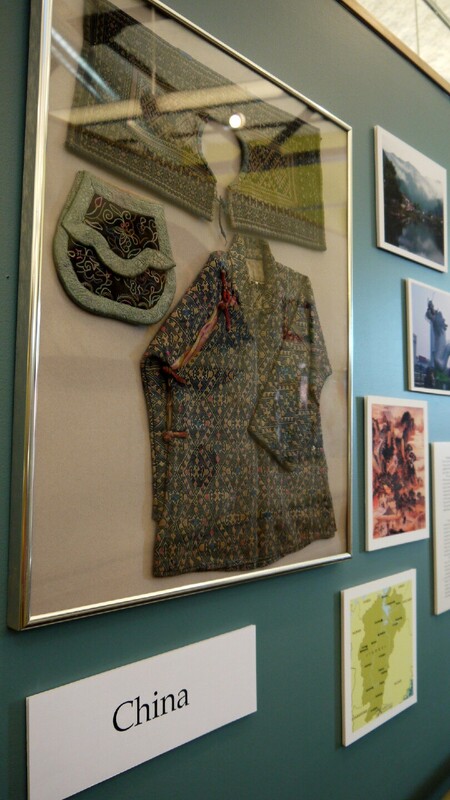 The exhibit shows how people of these cultures live, eat, dress, learn, play and engage with each other. The most heartening aspect of the project was the reinforcement that people are all amazingly similar, despite regional or cultural differences. Immigrants arriving in the United States tend to share at least two experiences: they look forward – trying to become American – and they look back, trying to maintain some traditions from their homeland. Each individual brings his/her own unique personal, meaningful cultural background and their own way of dealing with the unending demands of life. We all need to cultivate an attitude of respect, acceptance and inclusion in order to break down the barrier of our “shyness” or reticence in approaching individuals that seem different. I wanted to avoid a tourist approach of presenting culture through celebrations and food only. Instead, I wanted to share personal stories, achievements and comparisons in familiar and recognizable aspects of children’s lives – showing how people of diverse cultures live, eat, dress, learn, play and engage with each other. What does a school, a playground, a park or museum look like in another country? How is it the same? How is it different? This rings true. I began interviewing people with a preconceived idea about each country, perhaps formed by the media, whether National Geographic magazine or headlines in the news. Over and over again, my preconceived notions were wrong. The stories that were shared were far richer and diverse than I could have imagined. For me, this project has underlined the truth that stories matter. Many stories matter. Stories can empower, humanize and help foster feelings of community, celebrating different cultures and their contributions in order to position each other as friends rather than strangers. I hope that visitors to the Children’s Museum of NH will take the time to explore Gallery 6 to learn and appreciate the cultures presented there. I hope they will share their own stories with family and friends, make new friends and make a small difference in how we appreciate each other as we all face the challenges everyday living. I also want to mention the fascinating artwork by Portland, Maine artist Jeannie Dunnigan. 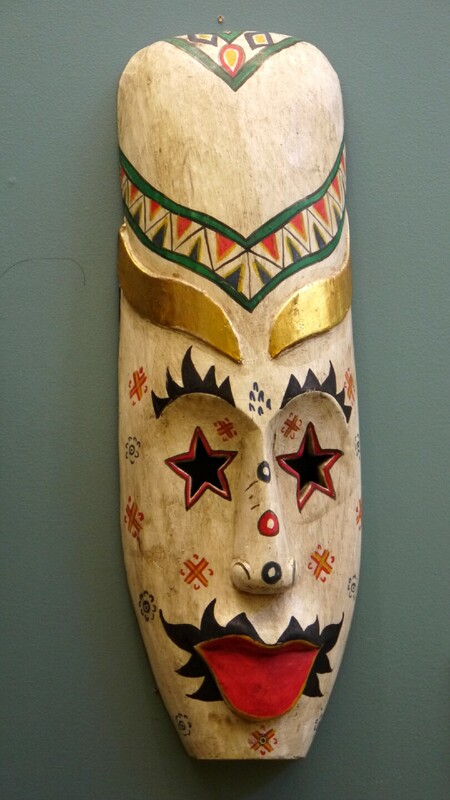 It is titled BAJ and features just the eyes of a child created using recycled print material. This seemed to encapsulate the idea that we all make up a part of the whole and reminds us that the eyes of our children are on us. It is my hope the artwork of the MOSAIC project promotes deeper understanding of ourselves, our culture and our place in the world by exploring what brings people together rather than what keeps us apart. 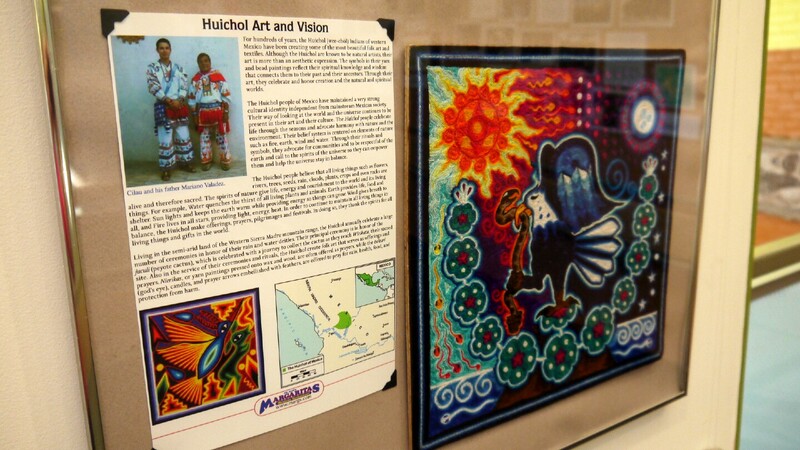 The MOSAIC exhibit is on display at the Children’s Museum of NH through May 27, 2013.